She went to school, no 74 in Yerevan, Armenia and attended Yerevan State University thereafter. She holds a Bachelors and a Master’s degree in English language and literature from the Faculty of Romance and Germanic Philology. She also holds a Bachelor’s degree in Italian language and literature from the same University. She worked for ATV Television in Yerevan as a host and a producer starting from 2005.She hosted, created and produced “7 Songs” which involved the latest music charts of Armenian singers. The viewer could communicate directly and vote or leave text messages for a given artist. She also created, hosted and produced ‘Boudoir’. 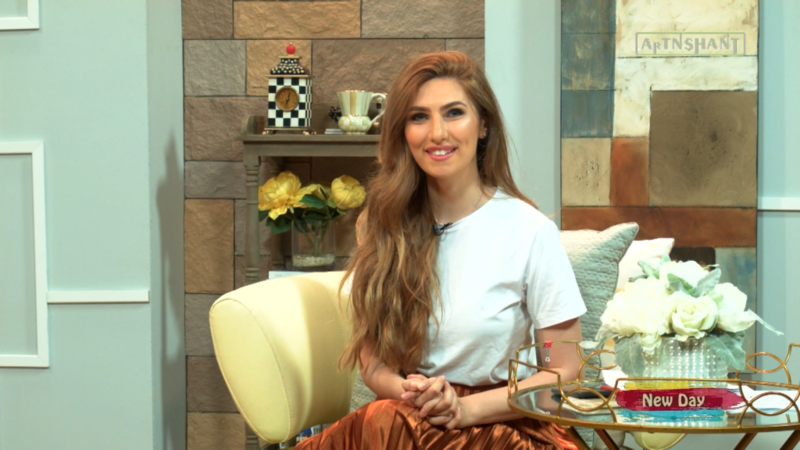 This program involved Armenian celebrities whom Emma was interviewed at their homes showing the Armenian public what style of clothes and accessories they had. Another program she hosted was ‘Russian Silhouette’. This was a contest for upcoming clothing designers. The competition was targeted for all designers within the CIS countries. Emma started working as a host for ARTN Television in Glendale California from 2013. Currently she is the host and creator of ‘Fashion with Emma’. This project covers the latest high end fashion trends. She also continues to host ‘7 Songs’ here in the States. Emma also co-hosts ‘New Day’ morning show. Emma loves reading books, a healthy lifestyle, music, and traveling.